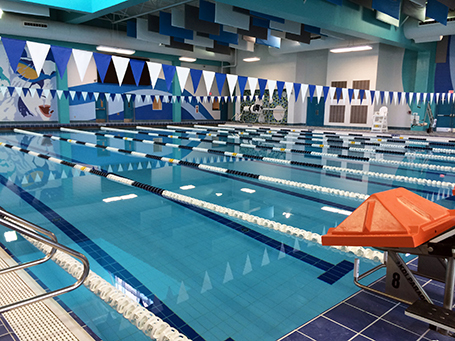 The new $8 million aquatic facility for Harlingen CISD was part of a $98 million bond initiative approved by voters in 2010. 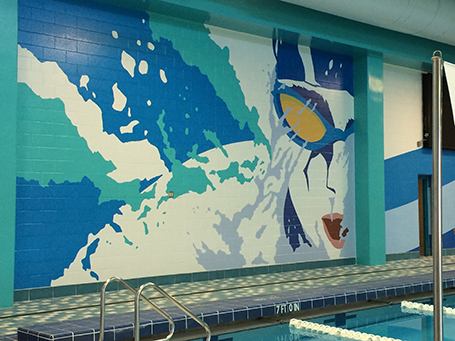 Designed to enrich student learning, while enhancing the current swimming programs for grades 6 through 12, the new 40,000 sq. ft. facility opened in April 2015. The school district immediately introduced a new Water Safety Education Aquatic Learners Program aimed at teaching the district’s 1,200 second-graders the fundamentals of swimming, a potentially life-saving skill. 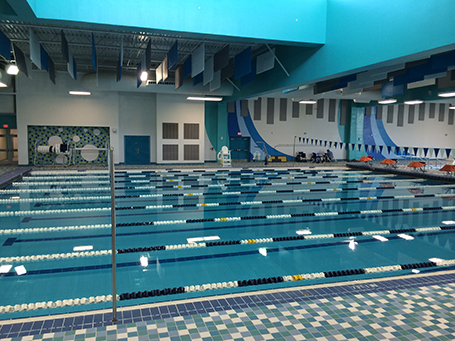 In addition to the water safety program, the facility is home to the district’s secondary campus swim programs. It also serves as a competition facility, thus enhancing the district’s ability to compete at regional and state levels. Filled with natural daylight, the natatorium houses an eight lane competition pool, a diving well, and a shallow learn-to-swim pool. The spectator area accommodates approximately 400 seats with ADA accommodations. The new natatorium space is attached to an existing gymnasium and locker room building which features a weight room for athletes. Water depths range from 3 ft. 6 in. to 4 ft.